Death Threats, Scandals, and International Condemnation: The Ugly Aftermath of the UNESCO Vote - Breaking Israel News | Latest News. Biblical Perspective. The UNESCO vote last Thursday that erased any connection between Judaism and its holiest sites has resulted in scandals, death threats, and blatantly dirty politics. At least one country that voted in support just a few days ago is now reconsidering its connection with a resolution that rewrites the Bible. After the vote on Thursday, Irina Bokova, Director-General of UNESCO, did not criticize the resolution in a direct manner, but her statements to the media indicated her disapproval with the wording that acknowledged Jerusalem’s holy sites as exclusively Muslim domain. Mount – whose Western Wall is the holiest place in Judaism,” Bokova said in a statement Friday, according to Haaretz. 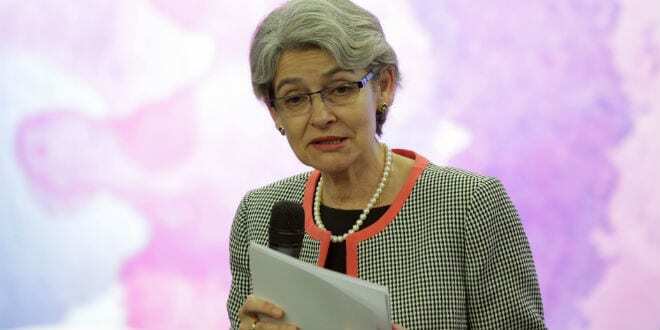 Israeli Ambassador to UNESCO, Carmel Shama Hacohen, stated on Israeli public radio that Bokova received death threats as a result of her statements. “These threats were made after her criticism” of two resolutions adopted last week at committee stage ahead of a final vote, Cohen said, accusing Arab countries of “appalling conduct” over the drafts. The claim was not confirmed by UN officials. Though the source of the threats was not announced, Bokova was strongly condemned by the Palestinian Authority Foreign Minister Riyad al-Maliki. “The Palestinian government expects Ms Bokova to focus her efforts on implementing the will of member states and preserving Jerusalem from the Israeli systematic colonisation and assault on its Palestinian character,” said Maliki in the Arab news site Al Jazeera. In an act of personal protest , Mexico’s ambassador to UNESCO, Andres Roemer walked out of Thursday’s vote. Roemer is Jewish but was instructed by his country to vote in favor of the resolution. One of hs deputies voted in his stead. Roemer reportedly considered resigning his post, but in a personal letter, HaCohen urged him not to. In the ongoing theater of the absurd that typifies UNESCO, UN Watch reported that the Mexican government is now trying to scapegoat Roemer as acting independently in support of the vote. Mexican newspaper Reforma y El Norte quoted Mexico’s foreign ministry as claiming that Roemer voted “without consulting the Undersecretary for Multilateral Affairs and Human Rights, and without realizing that countries like France, Spain and Argentina would change their traditional position and abstain.” This report was proved false by a leaked email, published by Enlace Judío, which quoted the Mexican foreign ministry’s instructions to Roemer to support the resolution. In the aftermath of this embarrasing scandal, Mexico, normally a supporter of Arab resolutions in the UN, Mexico’s Foreign Ministry announced on its website on Tuesday that it was withdrawing its support of the resolution. UNESCO Board chairman Michael Worbs of Germany expressed dissatisfaction with the resolution and suggested delaying the executive committee vote in order to make changes to the wording. The Arab nations pressured Worbs and he suspended himself from chairing the meeting. Worbs was replaced by Swedish ambassador Annika Markovic, who is not expected to support a postponement. After the vote on Thursday, Naftali Bennett (Bayit Yehudi), who heads Israel’s National Commission for UNESCO, suspended that body’s ties to the organization. 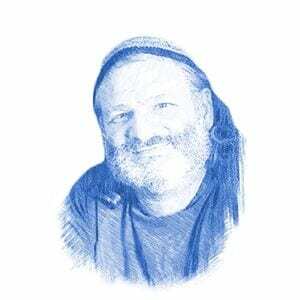 On Tuesday, he announced that the suspension will remain until UNESCO rescinds the resolution. The UNESCO resolution also referred to Israel as “the occupying nation”, blamed Israel for the recent and ongoing wave of violence, and called for Israel to end its blockade of Gaza. The motion passed the committee stage last week in Paris and is waiting for validation by UNESCO’s Executive Board on Tuesday. An online petition requesting that UNESCO “recognize the deep historic, cultural and religious connection between the Jewish people and holy sites in the land of Israel”, has already garnered over 70,000 signatures.